After reading chapter 5 in Discover & Pursue Your PASSION! 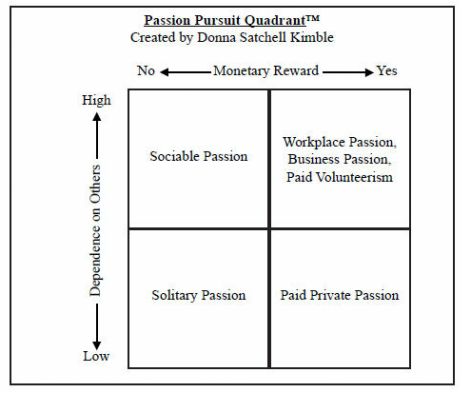 reflect on the Passion Pursuit Quadrant below. Then decide how you want to initially pursue what you love doing with an understanding of each quadrant.